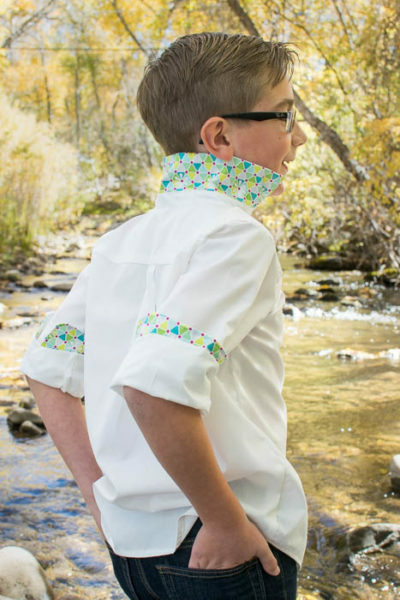 I just love a classic dress shirt on little boys. And girls. I used to be super intimidated by them and all their little bits and pieces that needed to be assembled just so. But they’re really fun and easy to sew once you get over that mental hurdle. 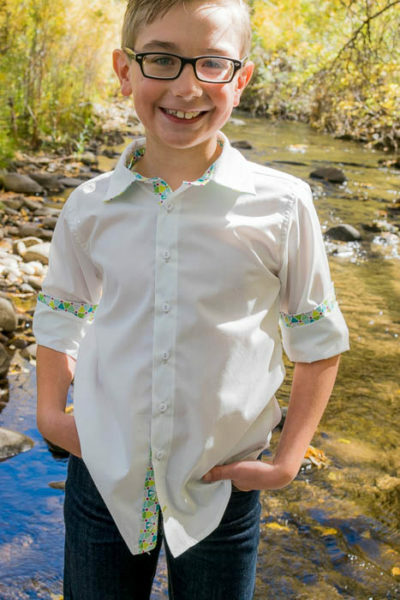 And I’ve created a pattern specifically with a wee bit of wiggle room and special instructions for beginners or those who haven’t tackled a dress shirt before. All the details of high end dress shirts are packed into this miniature version. Options include a formal “tucked in” length or a more casual “untucked” length, formal or casual pleats, optional contrast button placket, pocket, and suggestions for fabric placement and ways you can use contrast fabrics. Sewing Level: Advanced Beginner due to the button holes and smaller collar stand. 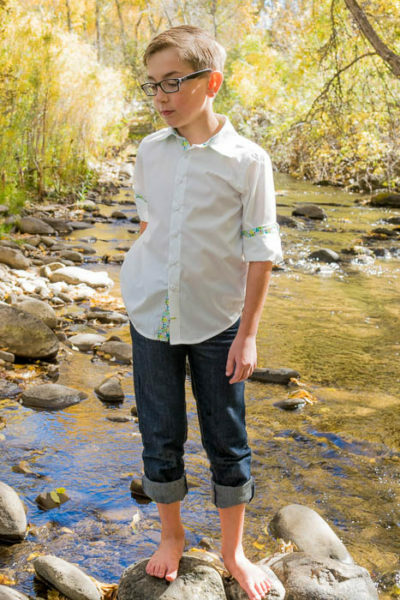 Fabrics used: Broadcloth, twill, poplin (formal), chambray, quilting cotton, flannel (casual). Testing begins Friday October 20 and concludes Monday October 30. Boys and girls are welcome to model The Stedelijk Shirt; instructions are given to reverse the button placket.